Humans have long judged the quality of a specific item or service based from his or her own personal contexts. As such, we identify ourselves to anything that comes with a significant history, like these old-world landmarks. When it was announced that the former home of the Admiral Hotel will undergo redevelopment, we could not help but feel excitement about the new face of the historical property, which will become a boutique residential development called Admiral Baysuites. 1. Owning a property at this development is like owning a piece of history. 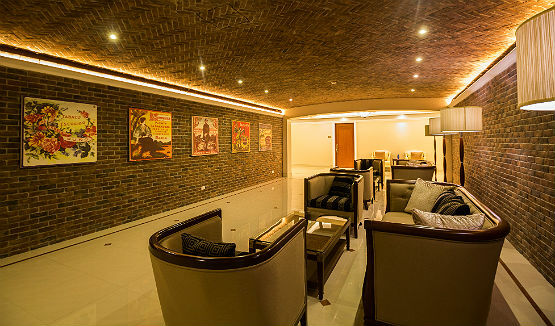 The stone brick detail of this particular lounge recall those bomb bunkers at Intramuros. 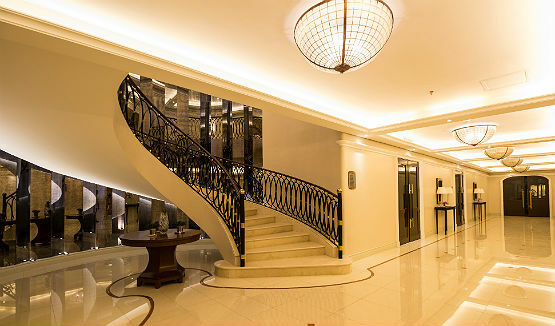 During the pre-war era, the Admiral Hotel was once the social hub of the Philippine’s elite. The hotel served as the home of the wife of Time, Life and Fortune Magazines publisher, Henry Luce, who was the US ambassador at that time. The uncle of Prince Philip of England, Prince Louis Mountbatten, was among the slew of dignitaries who made the Admiral Hotel their home away from home. 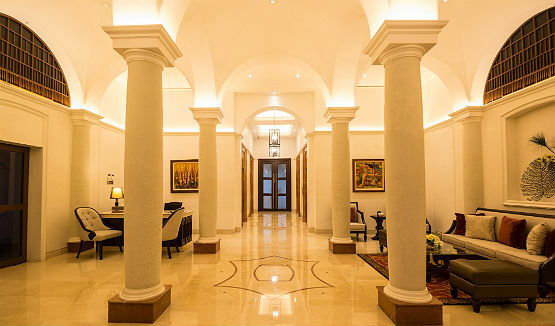 With the redevelopment, Admiral Baysuites managed to keep the hotel’s rich history by featuring some of the latter’s flattering exteriors and interiors. The stone pillars opening to the beautiful ceiling arches provided much drama in one section of the residential development. 2. 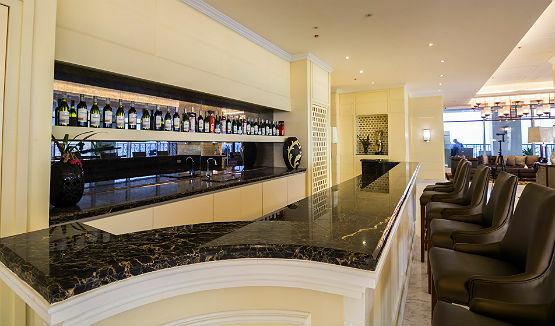 Live like the Old-World Rich courtesy of the property’s “White Glove” hotel-like services and amenities. Homeowners at the Admiral Baysuites can avail of the property’s exclusive concierge, security, and housekeeping services like those offered in a five-star hotel. The property also has Wi-Fi lounges, juice bars, 25-meter lap pools, fitness centers, a gaming and media room, perfect for anyone looking to enjoy the perks of a luxurious lifestyle. 3. The property is located at one of the most exciting cities in Metro Manila. 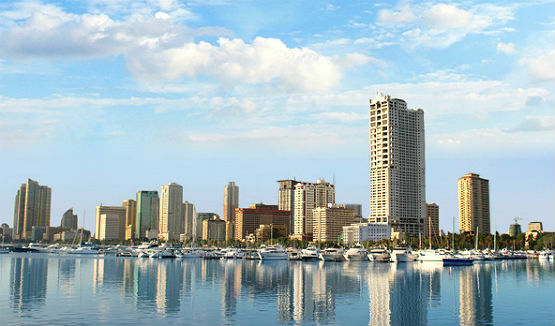 Pasay City has long been a favorite among expats and visitors who wants to have a good time. The Admiral Baysuites complements the city’s culturally-diverse local attractions courtesy of its many entertainment-focused amenities. This bar can easily be a future favorite venue of the hottest mixers in Pasay. Many brides may wish to use this grandiose staircase as a photo-op backdrop on their wedding day. 4. Property appreciation will continue to rise in the city. The land on which your property is built that actually the asset that appreciates in value over time. With the city’s industrial parks, major transportation hubs, and the proliferation of commercial developments like The City of Dreams and the Entertainment City of Manila, prospective homebuyers who are eyeing to invest in a property at Admiral Baysuites at Pasay can see their investment growing over the next few years. 5. Fan of horizon views? 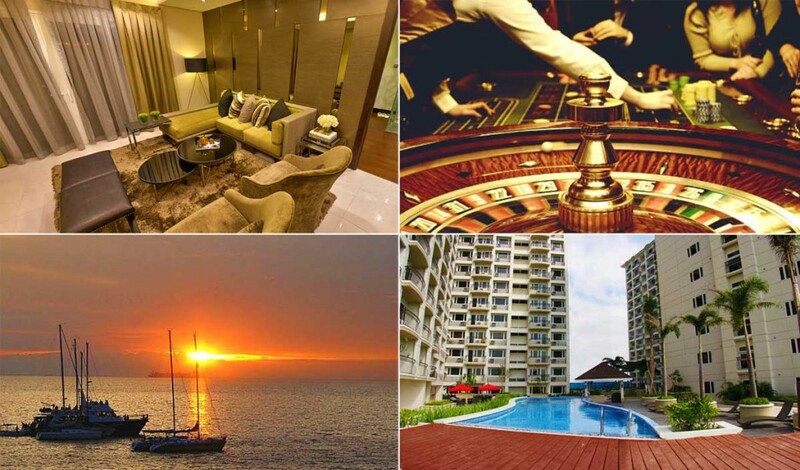 Owning a home here is like coming home to the famous Manila Bay sunset. Properties built near the shoreline of a body of water present amazing homeowner experiences. Condo units for sale facing the sea offers picturesque sunrise and sunset moments to the homeowners, which could be a real treat if they act as a backdrop when celebrating moments or special occasions.